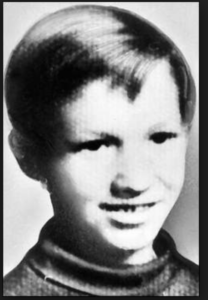 School photo of Mark Stebbins circa 1975. Sketch of Mark Stebbins in his hooded jacket and sweatshirt. Police circulated with this photo to refresh the memories of those in Ferndale who might have seen him. 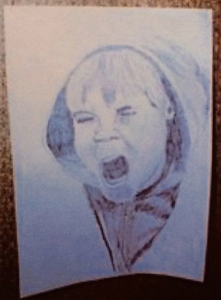 This sketch of a “screaming boy” was found in the Bloomfield Hills bedroom of OCCK suspect Christopher Busch. 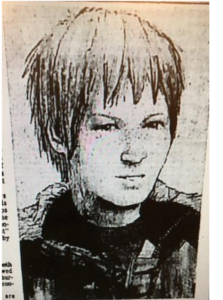 It’s thought that this is a sketch of Mark Stebbins.